This book is recommended for players below 1800 or 1900 as an aid in explaining the ideas behind openings. Ideas are more important than just leaning variations by rote because at the amateur level opponents rarely follow “the book” for very far and when they play a move that is unfamiliar or forgotten, we have no idea about how to continue. Knowing the idea behind the moves will help keep us on the right path. If our opponent's move is not consistent with the idea behind the variation then we can be sure there is something wrong with it. And, knowing that, we can better figure out a way to take advantage of his move. Reuben Fine’s old book, The Ideas Behind the Chess Openings, was such a book as was How to Open a Chess Game by Larry Evans and others. 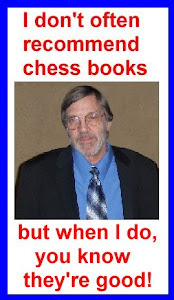 John Watson’s Mastering the Chess Openings was written with a similar idea, but Watson's book is somewhat more advanced, perhaps too much so for average players. Tamburro begins the book with general advice that most players are already familiar with. Don't give up the right to castle without good reason, don't lose time in the opening, don't play memorized moves without understanding the idea behind them, don't create weaknesses that your opponent can exploit, know when to trade a B for a N, etc. He also gives advice on how to meet gambits and various fianchetto lines. After that comes the good part...Openings for Amateurs. Tamburro presents an opening repertoire that does not emphasize memorization but ones with clear strategic ideas. The best part is he does not recommend weird, offbeat and questionable gambits or lines designed to “make your opponent think on his own.” Think about it. Once the opponent plays a move that wasn't in the book, or we forget what the next move is, then it is we who are thinking on our own, sometimes with disastrous consequences! As White, Tamburro recommends 1.e4. Against the Sicilian he recommends some of the anti-Sicilians: Against 2...d6 he recommends 4.Qxd4. His other recommendations are the Rossolimo Attack, the Closed Variation or the 2.c3 variations. Against the French he recommends the Tarrasch (3.Nd2) and against the Caro-Kann he recommends what is known as the Fantasy (aka Tartakower) Variation: 1. e4 c6 2. d4 d5 3. f3. This unusual move doesn't have a lot of theory and can get very sharp. Against 1...e5 he recommends the Four Knights Game and the Vienna. As black, against he suggests 1…e5 the Two Knights Defense, 4…Nf6 against the Scotch, the Ruy Lopez, or, if you don't like playing 1...e5, then he recommends the Sicilian Dragon. Against 1...d4 he recommends the Nimzo-Indian or the Dutch. He also covers Botvinnik's recommendations vs. the English. All his suggestions are decent mainlines or reasonable sidelines and not foolhardy, unsound or borderline questionable gambits. Perhaps the Fantasy Variation against the Caro-Kann is a little odd and I question the inclusion of the Sicilian Dragon as it requires a lot of theory. Years ago there was a strong master I knew who was a recognized expert in the Dragon and in one tournament he was out in the hallway when someone asked his how his game was going. His reply was that his opponent had let him play the Dragon and “he doesn't know what he's doing, so I'm going to have an easy win.” That was over 40 years ago and I'm sure there's more theory now than there was then! If you’re between below average to just above average and are looking for a way to improve you opening play, this is a good book at a decent price.